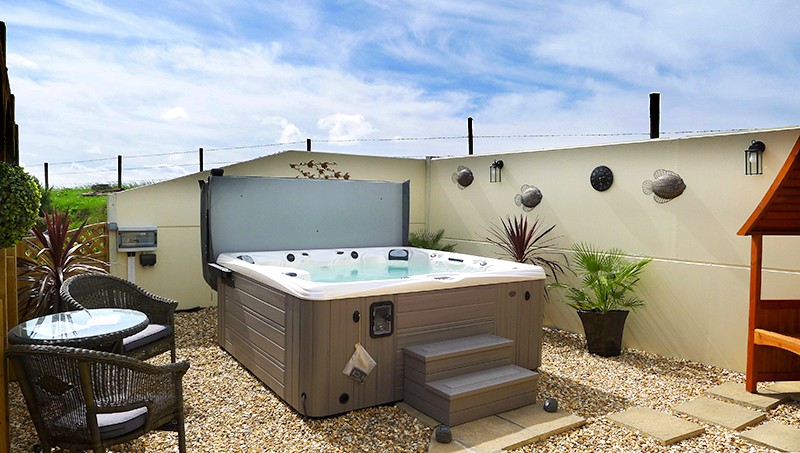 A beautifully converted carthouse lovingly restored to a high standard of accommodation. 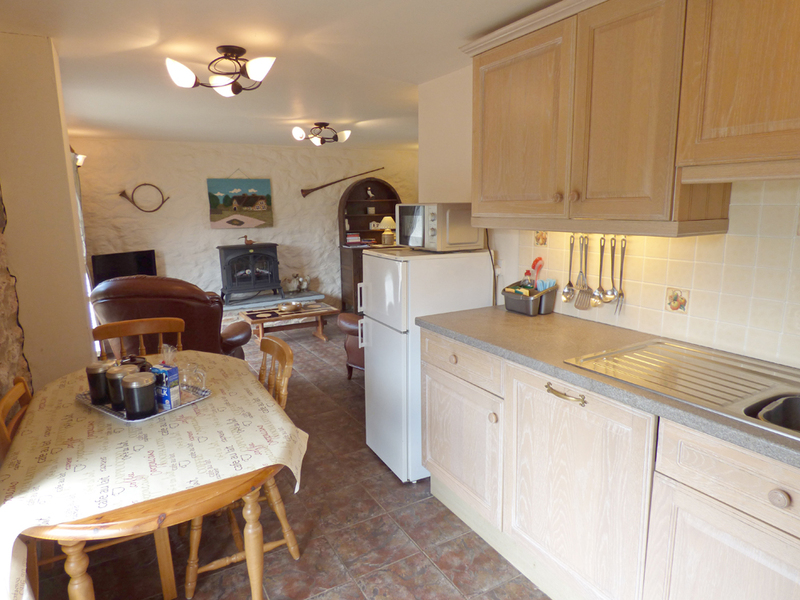 This well-equipped cosy cottage is ideal for a couple or small family. 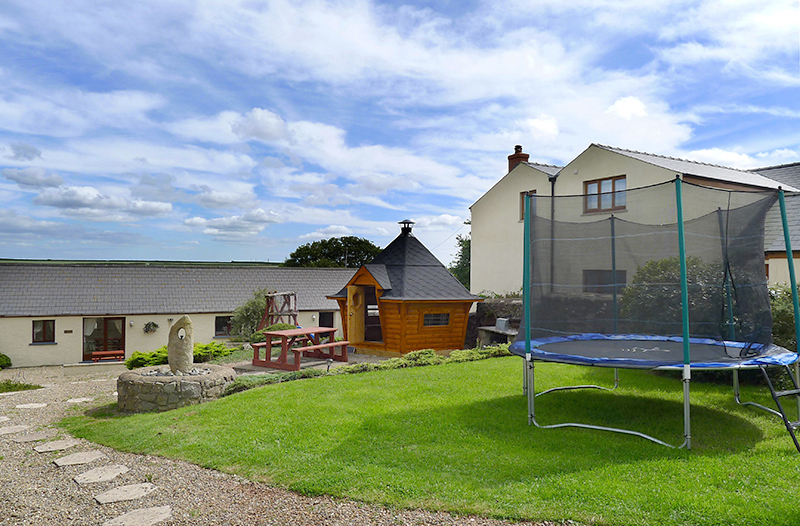 There is a communal games room, children's play area, trampoline, barbecue cabin and hot tub all onsite. 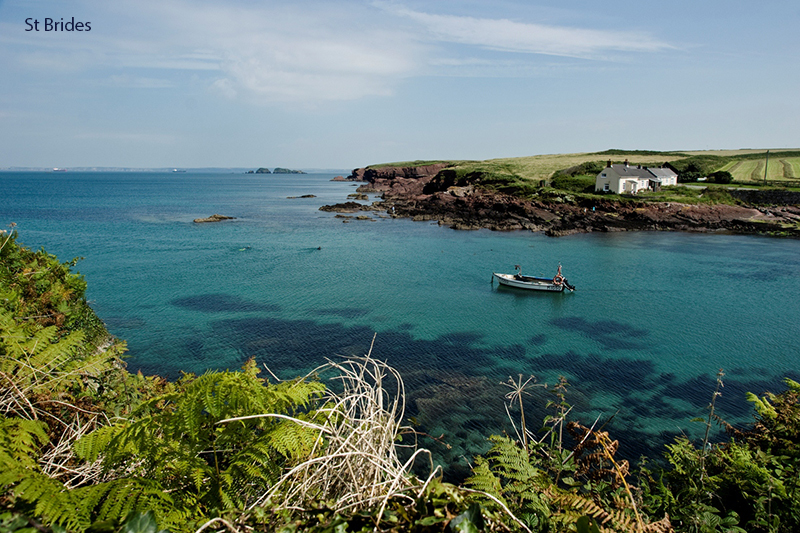 Step out onto the sheltered patio for an alfresco lunch before exploring the beautiful beaches all around this area or take a walk on the spectacular Pembrokeshire Coast Path. At any time of year, you will enjoy returning to this warm, welcoming cottage. The exterior steps are a feature only - not for access to the property. 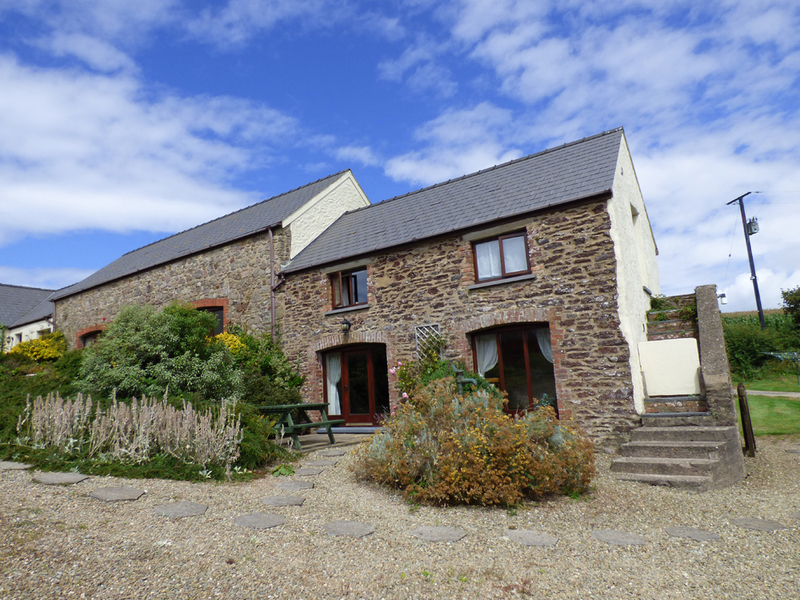 Upper Hoaten Cottages near St Brides are a family run enterprise, comprising a courtyard of beautifully restored old stone farm buildings. 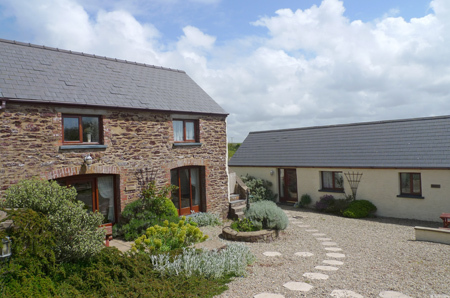 Whilst retaining the format of a traditional Pembrokeshire farmyard, each cottage has its own distinctive features with separate patio areas surrounded by shrubs and flowers. The enclosed forecourt overlooks a children's play area, well away from all cars. There is a games room with table tennis, pool table, WiFi and pay phone. 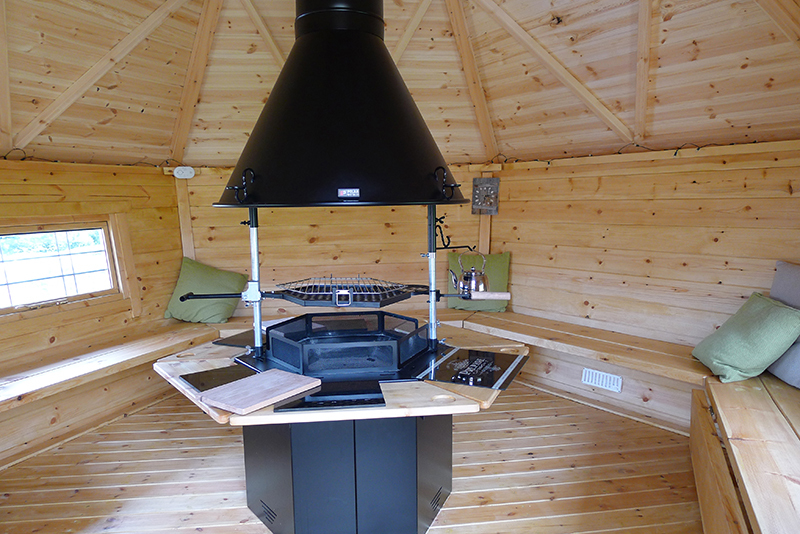 The separate barbecue area includes a delightful Scandinavian style barbecue cabin, so meals can be enjoyed whatever the weather. There is a 10ft trampoline for the more energetic children and adults. 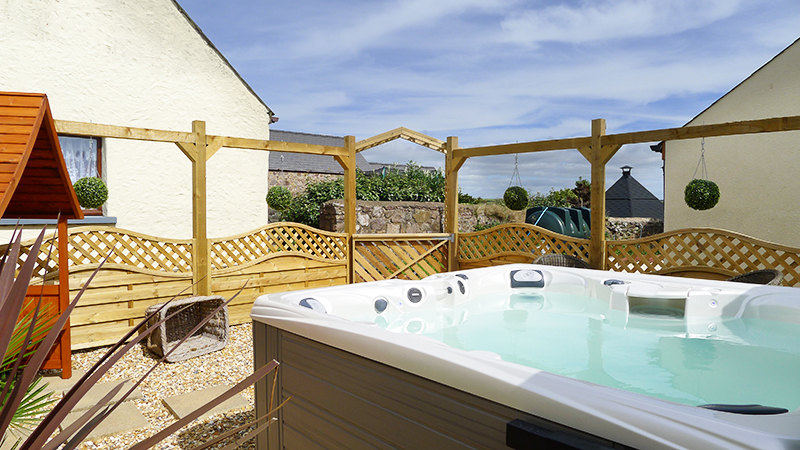 Adjoining the courtyard is a hot tub where guests can relax after a busy day walking the coast path or visiting the spectacular nearby beaches at Marloes Sands and Broad Haven. 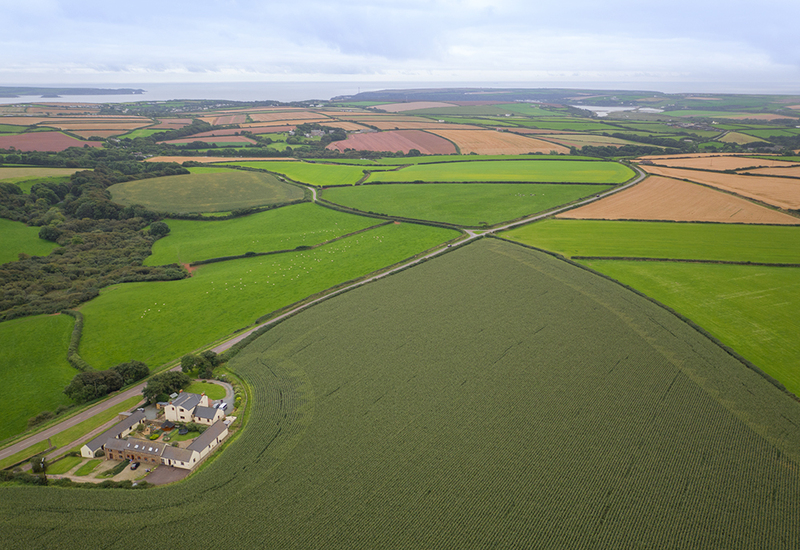 The cottages are surrounded by lovely open countryside yet are only minutes away from the charming coastal village of Little Haven, the windsurfing centre at Dale or the picturesque St Brides beach. A trip to Skomer Island is a must. These cottages are ideal for individuals whilst also providing the perfect venue for family groups or parties of friends who wish to get together in the evenings. The perfect base to return to after a busy day. Puffin shuttle stops at the crossroads so is an ideal way to explore the area. For details of these 5 cottages please see 32459 Coachman's Cottage, 32455 Drover's Cottage, 32456 Ploughman's Cottage, 32457 Shepherd's Cottage and 32458 Gamekeeper's Cottage. 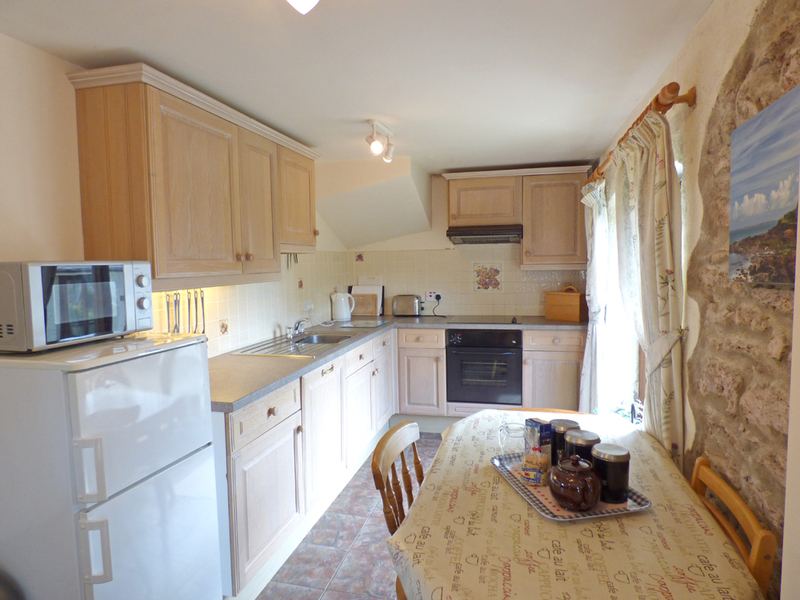 Ground Floor: Sitting room/kitchen/diner, utility room, whb/wc. First Floor: Double room/whb, single room/guest bed, bathroom/overhead shower/whb/wc. Heating: Oil central heating, electric log effect stove. Facilities: Electric oven and hob, microwave, fridge/freezer, dishwasher, washer/dryer, TV, DVD player, portable radio/CD player, WiFi available in communal games room & in the cottage, picnic table. 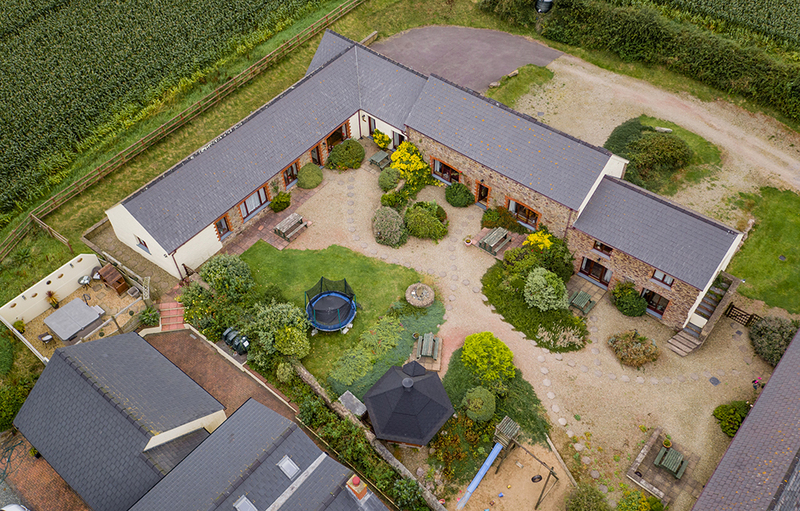 Communal barbecue cabin, hot tub, games room, payphone in games room, play area, trampoline. Best weather sin '76! Superb cottage - not much walking as usual - too hot! Very relaxing. Highlights definitely day spent on Skomer (puffins still there) and a day on Ramsay (both memorable but Ramsay in particular with wild and spectacular cliff scenary - FANTASTIC) Have been to Pembrokeshire many times over the last 40 years but one of the most memorable holidays yet. Many thanks! P.S the puffin shuttle bus stops just up the road - great service and well used by us. Just wanted to let you know we have had a fantastic time here as a family. Great cottage and a fabulous location. We've had a very happy holiday here. Thank you. Thanks to Linda and Dave for a lovely week. The cottage and amenities are fabulous and we look forward to another "dog friendly" holiday soon. Many thanks for a wonderful stay. Cosy comfy cottage, will miss Pembrokeshire and the friends we made hope to be back one day. We had a lovely week here. The cottage is so comfy. Well appointed with everything we needed. We toured north as far as Fishguard and east as far as Pendine Sands. Fabulous part of the welsh coastline, even the weather was great this week. Thank you Mr and Mrs Owen. 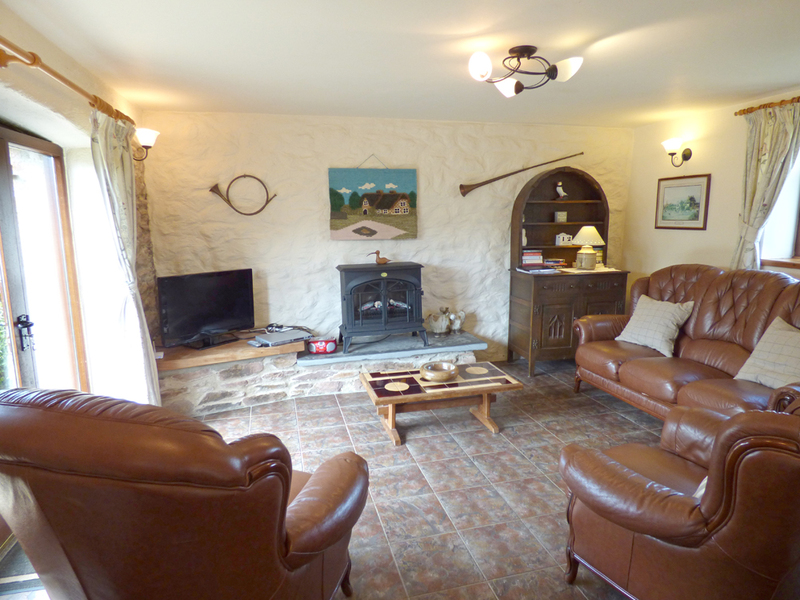 Lovely cosy cottage, perfect for our family and jasper the springer spaniel. Enjoyed Stackpole estate - some beautiful walks. Can recommend The Stackpole Inn. We went at lunchtime - gets busy in the evening. Newgale beach is great - Lovely long sandy beach. Pembroke is a pretty place to explore. Coffee shop 'williams' half way up the high street was very good. Well placed cottage for going up and down the coast. Thank you. Regardless of the wet spells we want in the sea everyday with a 5 year old and a 2 year old - great accomodation for children with climbing frame so close. So much to do locally. Thank you. 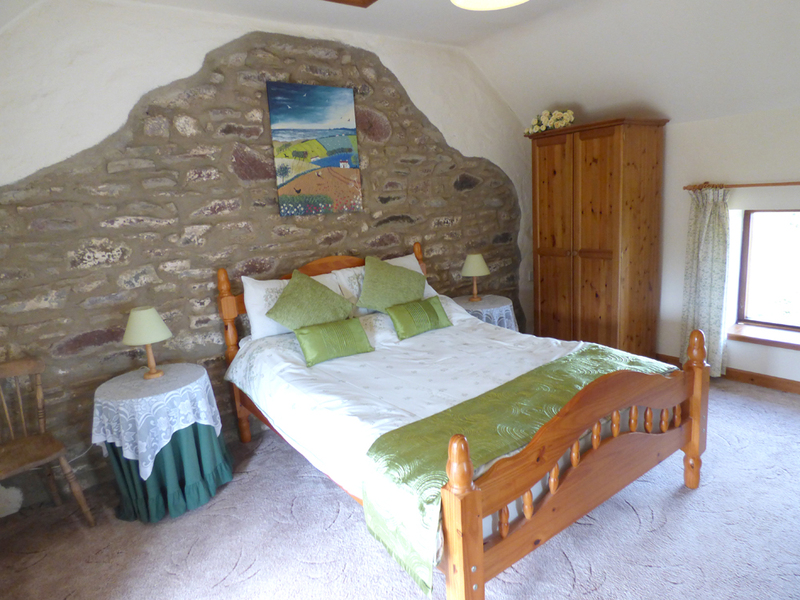 A great weeks holiday in a lovely well equipped cottage. We don't usually fare well with the weather when we holiday in the UK but this week has been an exception to that rule it has been lovely! 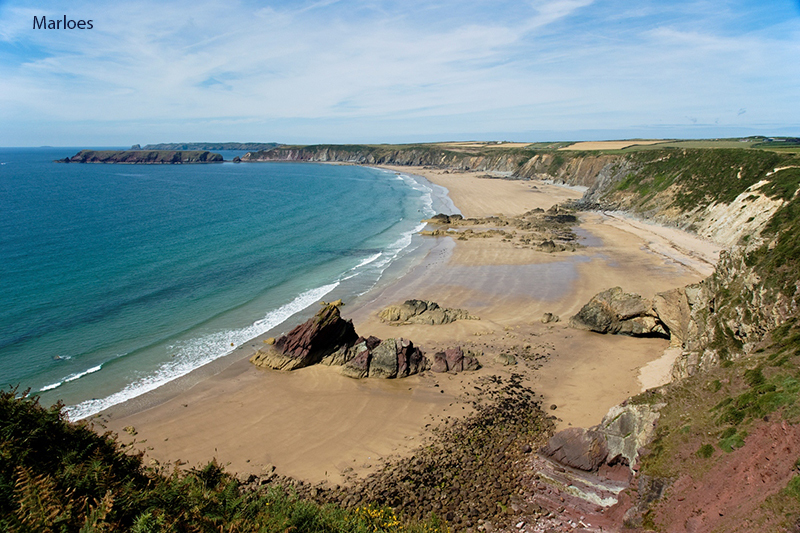 We've driven to many of the coasts towns including St David's, Cardigan and Tenby with each one showing us new delights. Our favourite beach was Freshwater East - A lovely stretch of sand with plenty of rock pools for exploring, the beach was very quiet which was perfect for allowing our puppy plenty of space to play. Our teenage daughter especially enjoyed the shopping in Carmarthen. Although we have seen lots this week there are many more places still yet undiscovered by us - So we will be back! The new BBQ hut will look amazing and I'm sure the hot tub will provide lots of fun in future weeks. Lovely, very comfortable cottage. Once again Pembrokeshire provided beautiful weather - clear blue skies! Good break! We have very much emjoyed our break, cottage was perfect, so well equipped and everything working! We have had many holidays in and around Pembrokeshire, but we feel this has beenthe best yet! We left the car at Little Haven and walked to Broad Haven, from there we enjoyed a peaceful walk through Haroldston Woods towards the end of Broad Haven and then onto the Coastal Path back into Broad Haven then to Little Haven. A very enjoyable walk, about 2 hours. Another nice shortish walk is down into Marloes, a very pretty bay with striking rock formations. The sunset was spectacular. We will be coming again! What a wonderful relaxing cottage! Perfect for spending quality time together! Close to St. Brides and Marloes for long strolls together and Little Haven and Broad Haven for a beautiful sunset. Couldn't ask for more! Thank you for a wonderful stay. Had a lovely time at the cottage, weather not too kind but never the less we had nice walks with the dog. 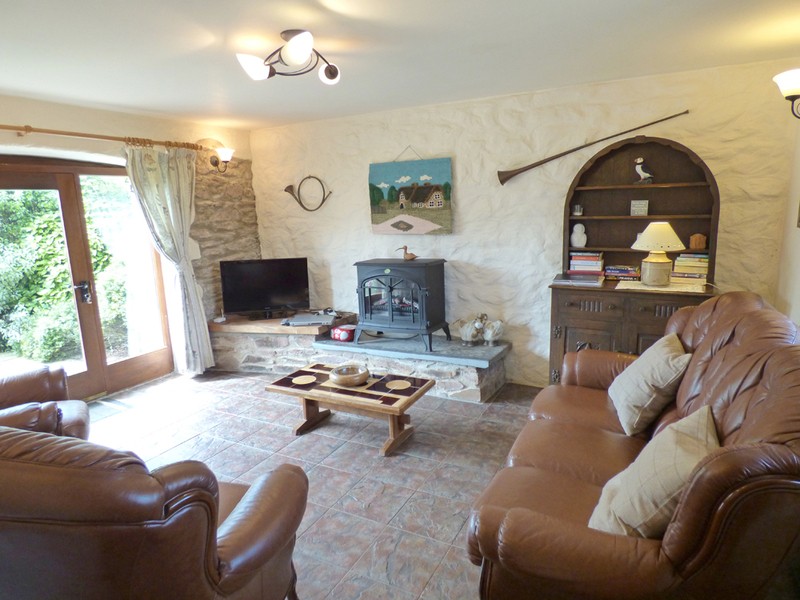 Lovely cottage, everything you could possibly need for a quiet break. Everyone so friendly especially the owners. We will definitely be back again. Thank you so much for a lovely week in your cottage. Everything worked superbly - play area really safe, great for the kids! Whitesands is a fantastic beach, Marloes Sands is brilliant for body boarding. Little Haven & Broad Haven are also good beaches. The Castle pub at Little Haven has great, reasonably priced food, friendly staff and children are welcome. Pembroke Castle is very good. We will be back again in the future as we really enjoyed Pembrokeshire. This is our second holiday at the cottages and again have not been let down. Fantastic place. For those who have not been in the area before, here are some suggestions: The Castle in Little Haven - excellent food! Fishguard (Lower Town) brilliant for Crab fishing! The Harbour Pub in Solva kids/dogs can swim in the river. Tenby beach good if you have dogs. Will be back again! This is our second holiday here. We liked it so much the first trip that we brought our friends from New Zealand. We will be back, we have had great weather and really enjoyed our stay in the cottage. 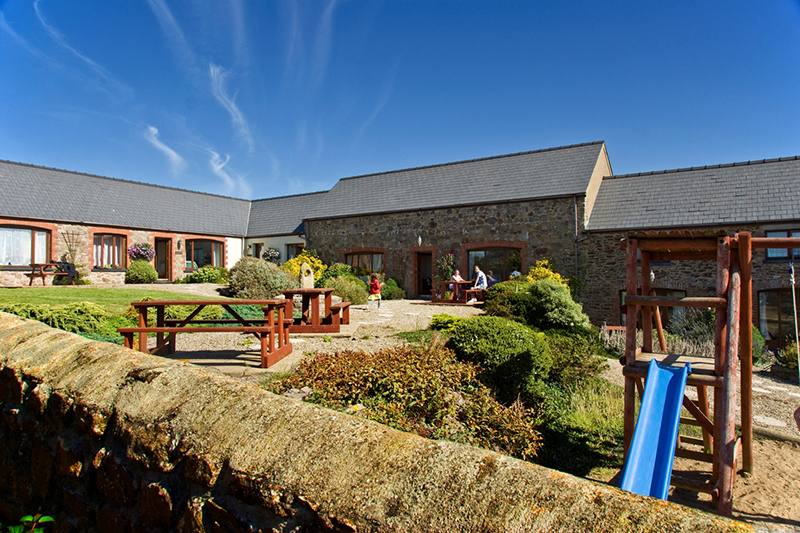 We can really recommend the Lobster Pot (Marloes) - child friendly, excellent food & service. Anna Ryder Richardsons Wild Welsh Zoo is great for all the family (fairly priced). Thanks for a great stay. 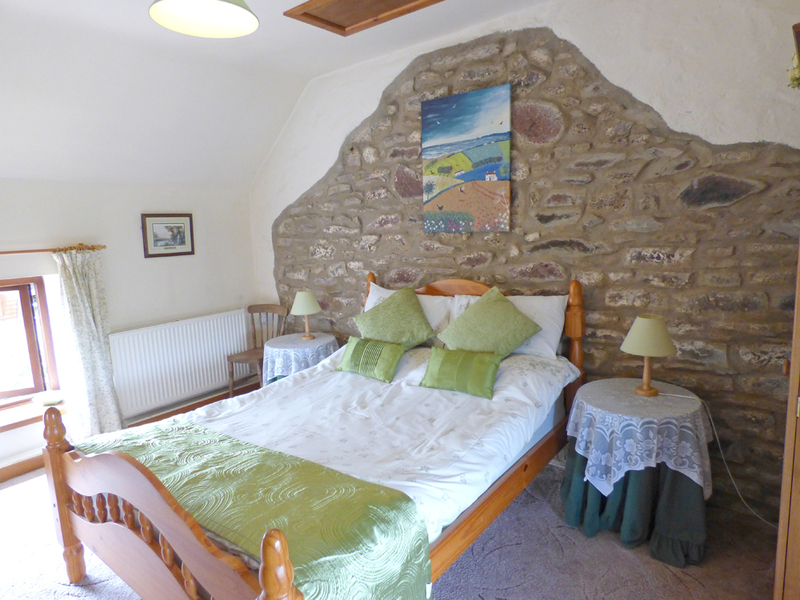 This is our 7th holiday in these cottages and as there are now 14 of us (soon to be 15) we book all 5 cottages. We have had a superb week as always with lots of family fun - ages ranging from 2yrs old to grandparents! On our last evening one of our nieces got engaged - brilliant celebration and West Wales even more special as a result. We will be back on 23rd July 2011 for our next family holiday - yipee!! Thanks to the owners as always. Excellent stay, lovely cottage. 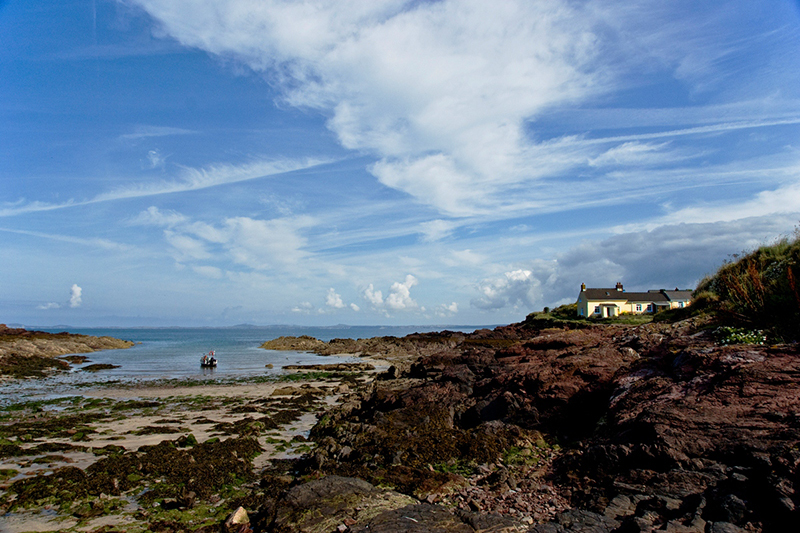 We love Pembrokeshire and will be back! Wonderful break in a lovely cottage. Well equiped and great for dogs and young children. Our 3yr old couldn't stay away from the play area/sandpit which is easily viewed from the sofa! Lovely walks in Little Haven, Broad Haven, St Brides and West Dale. Folly Farm is a must if you have children, a great family day out and worth every penny. Swimming pool on Haverfordwest is also good for little ones with a nice baby/toddler pool. Will definitely recommend area and cottages to friends and family and would love to return. Upper Hoaten Cottages are located on a B-road. There is parking for 2 cars directly outside the back door of the cottage. There is a 6 inch doorstep into the back hallway with the living room on the right, a whb/wc ahead and stairs to the left. Washer/drier and wall-mounted boiler also in hallway. 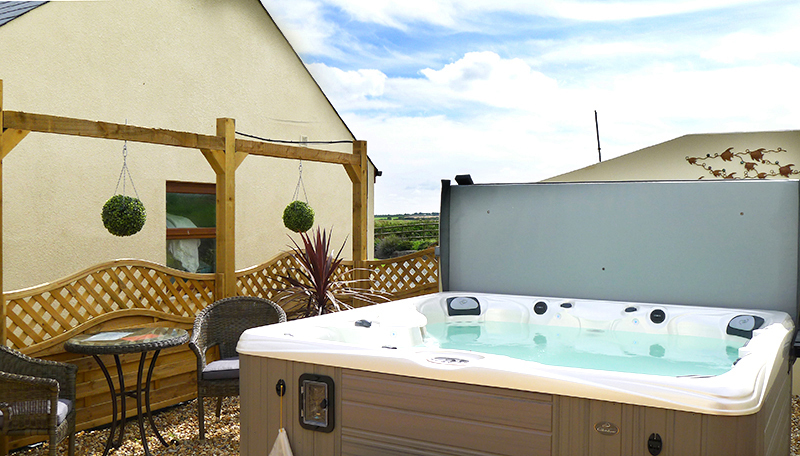 Central heating and hot water can be set to suit guests own requirements. The L-shaped sitting room/kitchen/diner has a log-effect electric fire, a 28” flat screen TV and DVD player, both operated by remote control. There is curved stairs with handrail on the right. 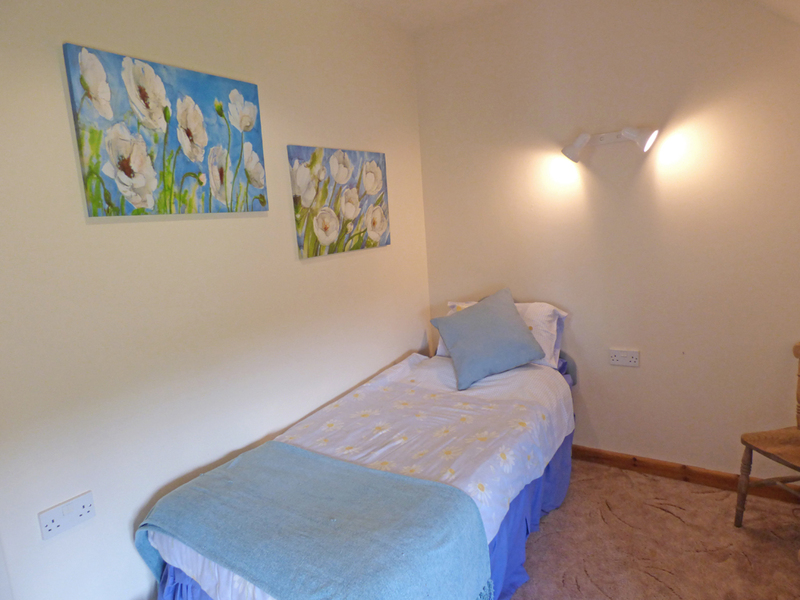 Large double bedroom with whb and a second bedroom which is set up as a single room or the 3’ pull-out bed can be set up when two beds are needed. There is an 18” gap between the beds when both are set up. 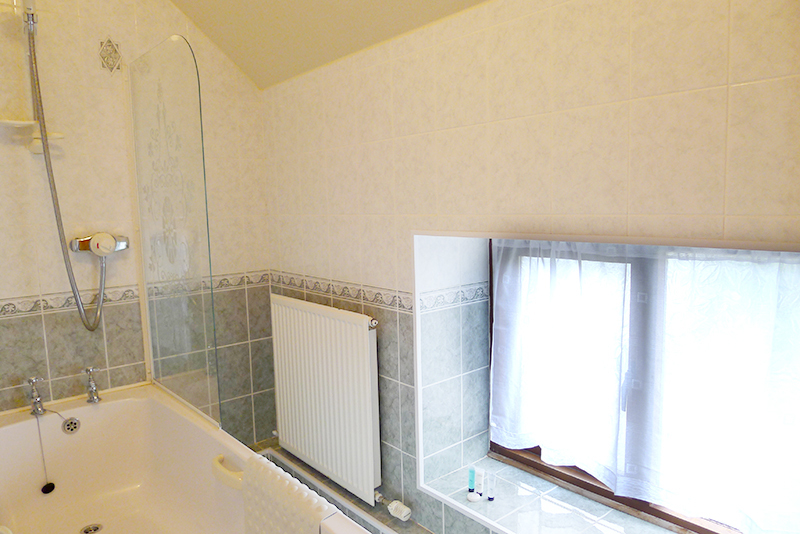 The bathroom has a bath with overhead shower/whb/wc. The cottage is well-lit throughout with natural and electric lights. A glazed door leads from the sitting room to your patio area with picnic table and surrounding shrubs. The sloping gravelled courtyard in front is enclosed, so children can play safely, well away from the car park area. 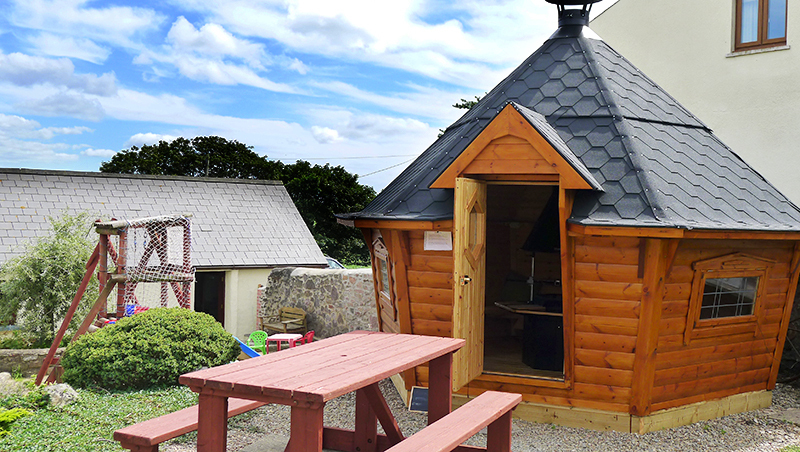 There is a children’s play area, a games room, a barbecue area with barbecue cabin all within the courtyard. A trampoline is also on site, but children must be supervised at all times, with only one person on the trampoline at a time. There is also a spa hot tub on site. Access is through a hand gate at the top of the courtyard. There are steps into the hot tub itself. There is a cover on the hot tub when not in use. Children using the hot tub must be supervised. 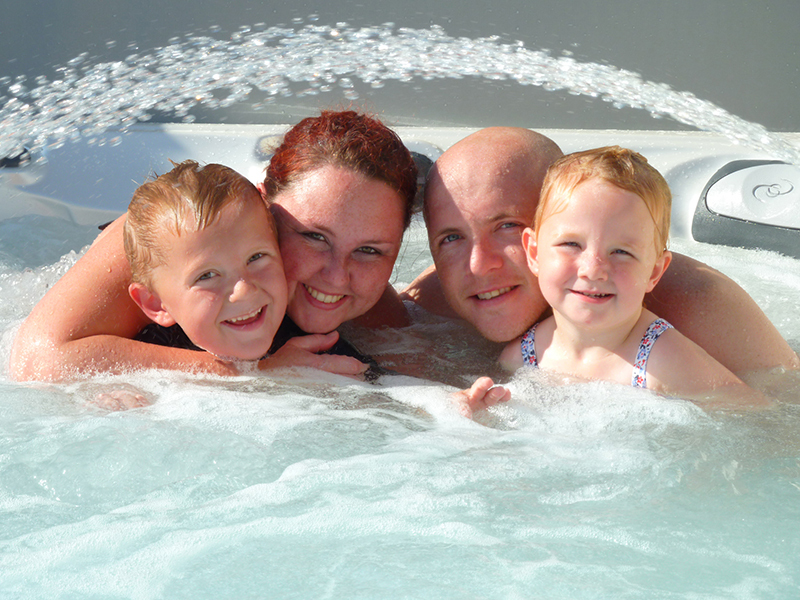 NB: Children under three should not be taken into the hot tub, as they cannot cope with the temperature of the water for any length of time. There is WiFi access in the games room, just a few yards from the cottage. There is also internet access in the cottage. Puffin shuttle buses can be hailed just a few hundred yards from the cottages, with drop off points around the coast in both directions. How would you like to contact us about Coachmans Cottage?